Soros disclosed a passive stake in J.C. Penney on Thursday. George Soros has given ailing J.C. Penney a big vote of confidence. The hedge fund mogul revealed a 7.9% stake in the retailer on Thursday. The investment is worth nearly $265 million at Thursday's closing price of $15.24. Soros is now the fourth-largest shareholder in the company, according to Bloomberg, and has taken a passive stake. J.C. Penney (JCP) shares surged on the news in after-hours trading, rising more than 7%. The rally continued Friday, with shares jumping nearly 9% in premarket trading. 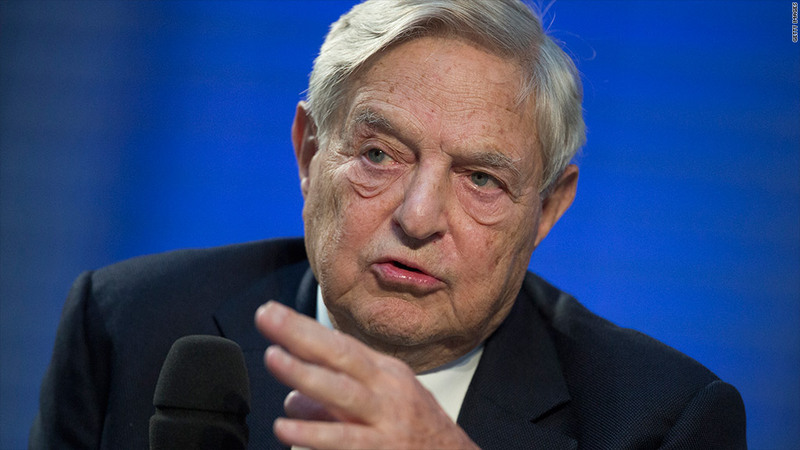 Soros joins fellow hedge-fund celebrity Bill Ackman as one of J.C. Penney's major shareholders. Earlier this month, the troubled retailer announced that CEO Ron Johnson was leaving the company after just a year and a half. Johnson, a former Apple (AAPL) executive, had instituted ambitious changes to J.C. Penney stores in an attempt to remake the brand. Sales plummeted during his tenure, sinking 28% in the fourth quarter from a year earlier. J.C. Penney tapped Mike Ullman, Johnson's predecessor as CEO, to take the reins once more. The company has since consulted with investment firm Blackstone in an attempt to raise up to $1 billion and remain solvent.